PIC Aviation Services, Inc. | Specializing in Making IFR Pilots since 1980. YOUR INSTRUMENT RATING IN JUST 10 DAYS! Choosing the right program for your instrument training is a crucial decision. It can mean the difference between getting your rating efficiently and on schedule, or enduring many unproductive and frustrating months with little or no progress. You can become a proficient and confident instrument pilot in just 10 days because P.I.C. 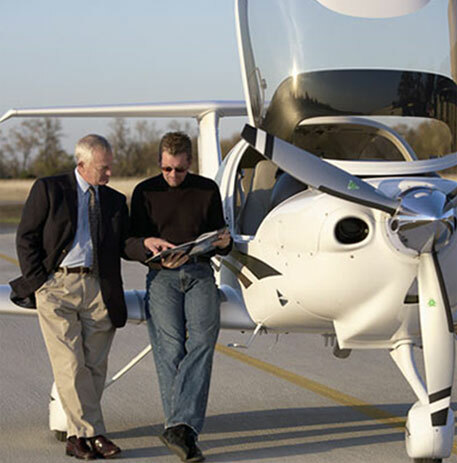 is the expert when it comes to getting your instrument rating. It’s been our specialty since 1980 with thousands of graduates covering every state. And we come to you! You can avoid the inconvenience of being away from home when you train with P.I.C. Unlike other programs, we come to you anywhere in the country. You can learn in a familiar environment, where you’ll be using the instrument rating most, and on your own schedule. Whether you plan to fly hard IFR, or just go through an occasional overcast, you deserve the best training available. You need the knowledge and skill required to fly safely and comfortably in the system. Don’t be fooled by people who say they are suspicious of intensive training. Professional pilots, military and civilian, train on a full time basis. And for good reason. You learn faster and retain more of what you learn. The fact is, not many instructors are available to devote themselves entirely to you for a ten day period. Your P.I.C instructor will be dedicated to your training, without interruption for other activities. Just Trying to Finish Your IFR? Have lots of IFR training time logged but not making the progress you’d like? Check out the P.I.C. IFR Finish-Up Course. Professional Instrument Courses has specialized in IFR training for over 30 years! 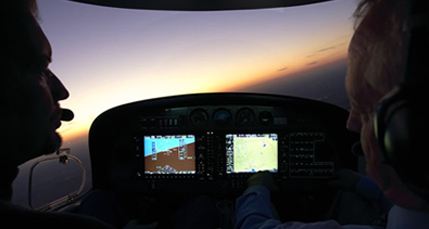 Whether you’re flying a G1000, GTN 650/750, G500/600, Avidyne Entegra, Aspen, Cirrus Perspective or analog equipped airplane, we have the experience you need to become a safe and competent instrument pilot. If you put it on your calendar, isn’t it more likely to get done? Start filing IFR now! CALL 1-800-435-9437 (1-800-I-FLY-IFR) or complete the contact form.